Farhang Foundation’s daylong cultural festival moves to UCLA campus to accommodate Los Angeles’ most popular Nowruz event. Los Angeles, February 15, 2017 – The most colorful festival of the year marking the arrival of spring, Nowruz (the Iranian New Year) is back. Bringing together joyous sounds and spectacle for all to enjoy, the event is bigger than ever for its Ninth Annual Nowruz festival. The Farhang Foundation debuts a new home at UCLA’s Royce Hall and Dickson Court, having outgrown the previous venue at LACMA. The daylong festival is free and open to the public and will be held March 12. Last year, the cultural event was enjoyed by an estimated 20,000 guests. Part of a tradition dating back at least 3,000 years in Iran and surrounding regions, Nowruz translates to “new day” in the Persian language. It marks the vernal equinox and symbolic rebirth of nature. The holiday is also observed by nearly 100 million around the world, including the U.S. and in places as far-flung as Azerbaijan, Afghanistan, India and Turkey. Farhang Foundation is proud to present a full day of cultural programming at its Nowruz festival for the L.A. community on Sunday, March 12, from 12 p.m. to 8 p.m., honoring not only a beloved Iranian tradition, but also a universally felt spirit of friendship, family ties, and renewal. The event features musical performances, Iranian dance, children’s activities, a traditional Haft Sin display, an annual Iranian costume parade open to all ages, and much more. The day concludes with a highly anticipated musical performance by renowned artist, Mohsen Namjoo. Hailed as “the Bob Dylan of Iran” by The New York Times, Namjoo’s voice is deep, his lyrics unexpected, and music revolutionary. Namjoo is known as the first artist to fuse classical Persian music with Western style, blending the traditional Iranian lute (setar) and electric guitar. Outdoor activities will take place in Dickson Court North and South, which are adjacent to each other and to Royce Hall. With the exception of the Centerpiece Musical Program Starring Mohsen Namjoo at 5 p.m. in Royce Hall (tickets are $25, $45, $75 and $150), all other events are free and do not require tickets. 12 p.m. to 5 p.m.
A variety of programming will repeat throughout the day on two stages outdoors on Dickson Court North and South. Children and adults alike are invited to join in this year’s 4th Annual Costume Parade. Wear your favorite traditional colorful costumes. The parade will proceed through Dickson Court and the adjacent areas. The Djanbazian Dance Company has toured nationally and internationally. For Nowruz, the group will delight audiences with a series of Iranian dances incorporating both traditional and modern themes. The Daneshvar Children’s Ensemble lead by Parisa Daneshvar is part of the Persian Arts Society Music Institute, teaching Persian instruments, traditional and classical music, as well as music to children. Parisa Daneshvar and her children’s ensemble will perform a special Nowruz program. The popular, LA-based DJ will be spinning the best in Iranian music from past and present throughout the day. In the center of Dickson Court, all can enjoy a Haft Sin display. The stunning exhibit features an eye-catching table laden with items used as symbols of spring and renewal, such as colorfully painted eggs, representing fertility, and goldfish swimming in a bowl, representing life. Festival goers will experience a Persian style decorated tent. Inside the tent, purchase tea and Persian sweets to welcome the New Year. Throughout the campus area, dancers from the Firuze Dance Company dressed in Iranian folk costumes and musicians playing traditional instruments will be performing, bringing a joyful sound and blur of colorful excitement to the proceedings. The character of Amoo Nowruz (“Papa Nowruz,” this bearded gift giver of folklore could be compared to Santa Claus) and Hadji Firooz (his sidekick) will be walking around the grounds on stilts, greeting guests. There will be dedicated area for children, with music, arts, and crafts, as well as a special puppet show. Iranian-American poet, singer, songwriter, and storyteller Ziba Shiraz will perform an interactive musical story about Nowruz. 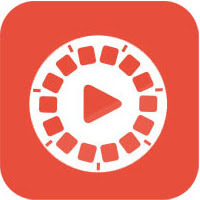 This program is designed to appeal to both children and adults. An actress, designer, and puppeteer, Negar Estakhr is best known for her “Kolah Ghermezi” fame, as the show is Iran’s most popular children’s program, similar to “Sesame Street.” She will be debuting a new puppet show specifically created for Farhang Foundation’s Nowruz celebration. 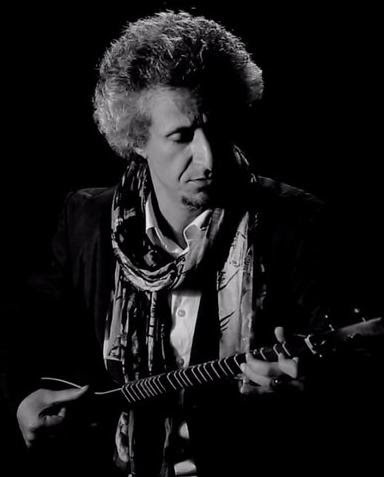 Hailed as “the Bob Dylan of Iran” by The New York Times, Mohsen Namjoo is an artist, songwriter, singer, music scholar, and setar (traditional Persian lute) player based in New York City. This visionary artist seamlessly blends the classical Persian setar with electric guitar, and rock and blues vocal techniques with Persian avaz (singing), fusing the sounds of the ancient world with the pulse of today. He has been touring the world to sold-out concerts at prestigious halls such as the Palace of Fine Arts, San Francisco; Walt Disney Hall, Los Angeles; Barbican Hall, London; and Kölner Philarmonie, Köln, Germany. His latest album, “Personal Cipher,” was released in 2016. Tickets for the Namjoo concert are on sale via Ticketmaster. UCLA’s Royce Hall & Dickson Court are located at 340 Royce Drive, Los Angeles. Please join us, and Eide Shoma Maborak, or Happy New Year! 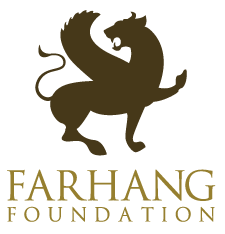 Farhang Foundation is a nonreligious, nonpolitical and not-for-profit foundation established in 2008 to celebrate and promote Iranian art and culture for the benefit of the community at large. The foundation supports a broad range of academic activities in Southern California by funding university programs, publications, and conferences. The foundation also supports diverse cultural programs such as the celebrations of Nowruz and Mehregan, theater, dance performances, film screenings, and poetry readings in Southern California. And, in cooperation with various cultural and academic institutions, Farhang Foundation funds major programs and exhibitions about Iran and its culture. However, the content, viewpoints, or biases expressed by individual artists, academics, institutions, or events supported by the foundation belong solely to each individual party and do not necessarily reflect the views of Farhang Foundation. For more info visit Farhang.org. Enter your email address below and Click on Follow to receive notifications of new posts by email. Soonie Aunty celebrates 100th birthday! Ceremony on the 6th day (CHHATTHI) after the baby is born.